Exponet USA is all about you, the customer. 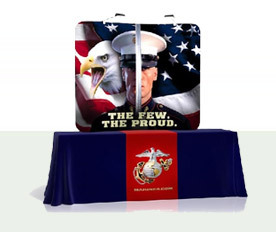 With almost 20-years of experience in the trade show industry, our goal is to provide absolutely successful trade show displays & portable exhibits for you at the most competitive prices. Why? Our low overhead allows Exponet USA to pass along significant savings to each of our clients (and their clients). In fact, we will beat any written quote! 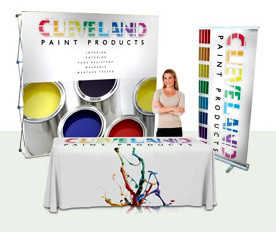 It definitely pays to talk to us before making your trade show display decisions - from retractable banner stands of all styles to ReadyPop fabric pop-ups to the ever-popular EZ Tube fabric displays of any size, to hanging signs & table throws, as well as anything custom. 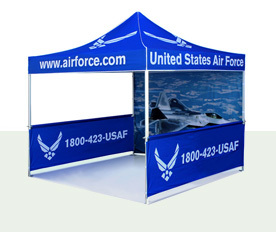 We specialize in event printing for trade shows, festivals, conferences, weddings & more. Typically we have no minimum orders & sell direct to the public, virtually anywhere. 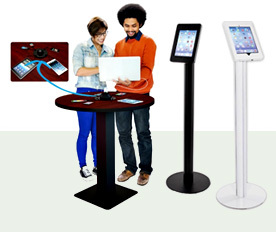 "Just wanted to thank you for all the help and support with our EZ Tube display package. Everything was as we expected. Thank you very much for your help and support with this." "We really appreciate all of your help. Thank you so much for getting everything situated so we could have the items in time for our event. I really enjoy working with you - you make it so easy!" "The custom throws turned out beautifully and drape very nicely. Thank you so much for your quick work; we were able to make our ship date for everything. Your prompt and eager service was great." "Miracle workers...for a conference in Phoenix. They pulled their strings and came through like clockwork. Amazing!"